Feeling a little Chile? 4 Reds from Tremote Vineyards, Cachapoal Valley, Chile. 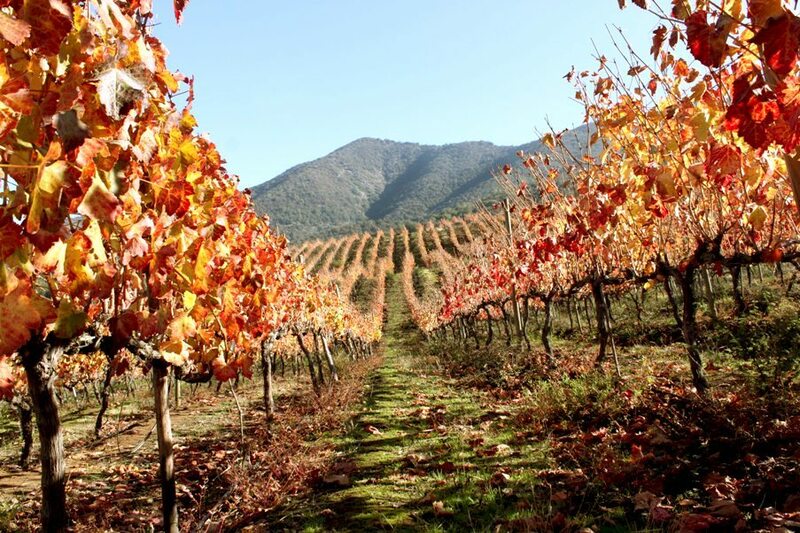 Blog » Red Wine » Chile Red Wine » Feeling a little Chile? 4 Reds from Tremote Vineyards, Cachapoal Valley, Chile. Of course, by now, we should be diving into cool crisp dry white wines and whipping open pale pink rosés for the delectation of our friends, but the weather isn’t playing ball and it still feels like mid-Winter. Time, therefore, for some flavourful, satisfying and reasonably-priced red wine. It seems rather too easy to assume that LEA & SANDEMAN is all about France and Italy and the more traditional bits of the wine world, but allow us to introduce you to a natty little winery we unearthed in Chile. 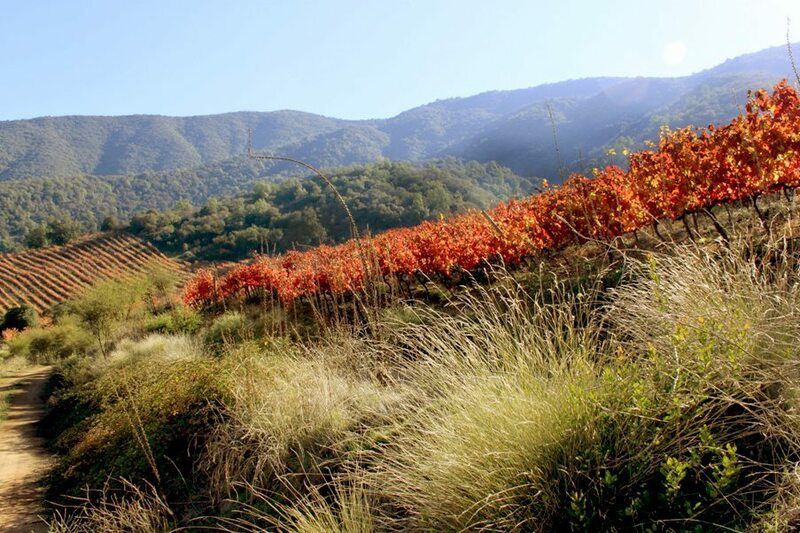 Between 300 and 500 metres up on the steep slopes of Monte Rekewa, at the southern extreme of the Cachapoal Valley, lie the vineyards of the Tremonte Estate. The presence of Monte Rekewa itself, as well as the Costa mountain range it forms a part of, and the distant influence of the Andes give rise to the name Tremonte. The rocky soil is ideal for vine growing and the microclimate offers near-perfect conditions in the growing season with day-time temperatures touching 30° but much cooler at night; breezes wafting down from the Andes also serve to keep the vines cool; whilst the Rekewa river flows down from an Andean glacier to provide water for the drip-irrigation of the vineyards. The estate is run by Norwich-born Ian Hutcheon who has been living and working in South America since the mid-1990’s. Malbec is all the rage just now, but usually from the other side of the Andes in Argentina. Here in Chile, especially at this altitude, there’s a touch more freshness and refreshment than you typically get in a Mendoza example. Smooth and rich with nice brambly fruit, again with a refreshing touch lent by the altitude. Packed with crisp bramble fruit this is easy drinking yet not without backbone and interest. A really nicely defined Cab Sauv with crunchy cassis and red berry flavours. Characterised by rich blackcurrant fruit and vibrant acidity this medium bodied Cabernet is great all round drinking. Tremonte’s flagship wine is a blend of 50% Cabernet Sauvignon, 25% Syrah and 25% Carmenere, aged for 8 months in new French oak. Rich, impressive and possibly worth squirreling away for another 5+ years (if you can resist drinking it sooner). The Monte Rekewa was the subject of an interesting project to study the effects (on sales, probably, more than on the wine itself) of burying bottles of wine to mature underground! Read our blog Sacrificing Wine to the Inca Gods for the full story. All the Tremonte wines are available on-line or at any of the LEA & SANDEMAN shops. Or why not simply try a mixed case? Please do keep your eyes peeled for our first Rosé offer of the season, hopefully coming soon. We are keenly waiting a first convincing glimpse of sunshine as we’re sure you are! We have also decided to keep our £100 Easter mixed case offer open till midnight this Wednesday 3rd April due to popular demand.